Em Stafrace| Just a Girl with Ideas: I HOPE YOU'LL SHARE YOUR IKEEM! I HOPE YOU'LL SHARE YOUR IKEEM! 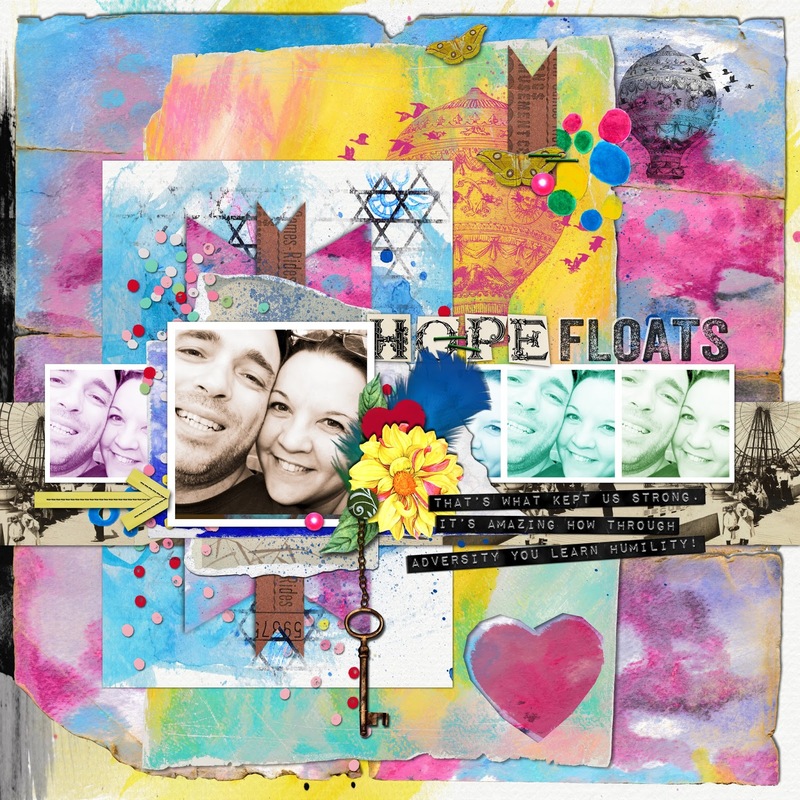 This week Sissy Sparrows released a beautiful kit called 'Hopes Float'. Its filled to the brim with gorgeous embellishments and delicious watercoloured papers. The extra packs in this release include some fabulous watercolour brushes and a set of crayon stamps that are a tonne of fun. The kit really reminds me of summer and those delicious sorbet and gelato ice-cream ya just gotta have on a hot summery day. These pics of Tige sharing his 'i-keem' with me were a perfect fit don't you think? The one thing I have learn't is that sometimes things happen out of your control. That although these upsets can be difficult to process namely because the hurt is so paramount sometimes stepping away from it, looking at it from a different perspective can be incredibly humbling. I can say observing someone else's greater battle than your own and watching them rediscover themself is an invaluable lesson in understanding acceptance, forgiveness, empathy and well the most important thing recognising that love truly does win in the end. Once you love yourself a whole new world opens up... a much brighter and happier one thats for sure! Anyways I thought this kit was also symbolic of how far we have come and how with just a little bit of hope you can find peace, resolution and a new found respect for any relationship thats perhaps going through a difficult time. Studio Mix #55 The Whole Story which is another kit that wont disappoint. 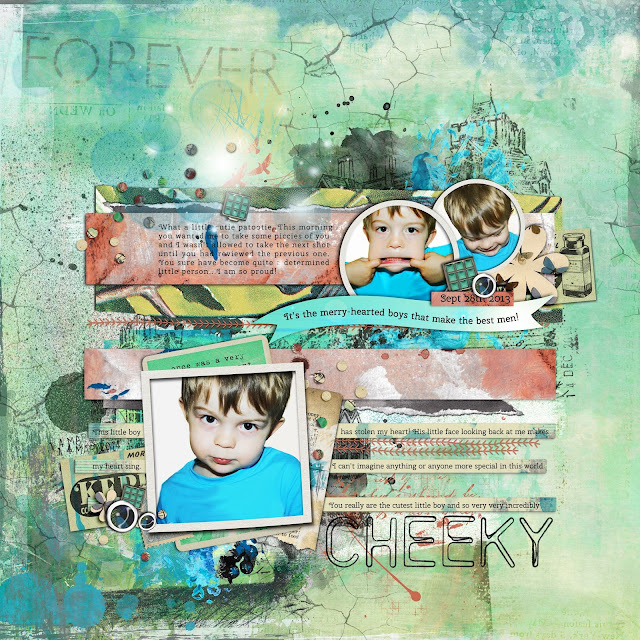 Below is my DT page again featuring none other than my cheeky whittle boy who can now by prompt, pose for me, gotta love having such a cute muse to photograph! Thanks for stopping by, hope you have a fab day! 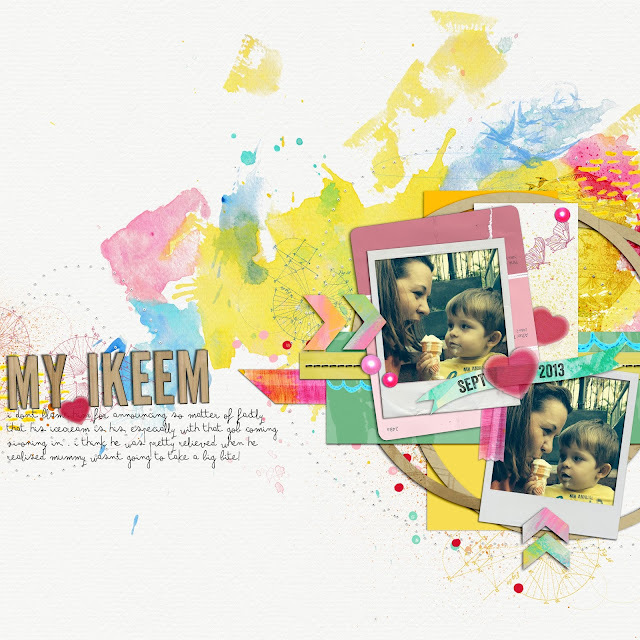 I am glad for you that things are better.. life sure does throw some curve balls at times... these layouts are amazing, I had a giggle at the title of the first one.. reminded me of my kids when they were little and called ice cream i-keem too...and fabulous background details in the other layouts too.. you create so wonderfully!